Mitigate risk with persistent monitoring. From ports to airfields to remote areas, Planet’s daily global imagery powers rapid insights and confident decision-making. A rare sighting. SkySat imagery of the simultaneous appearance of the Liaoning and Type 001A carriers in the Dalian Shipyard, China, on Sept. 17, 2018. Planet’s global coverage allows you to discover trends and get early indications of change over broad areas and diverse geographies. An IDP camp proliferates. Ad hoc human settlements spring up across Syria and grow on a weekly basis, as captured by SkySat on September 6, 2018. Get situational awareness on demand. 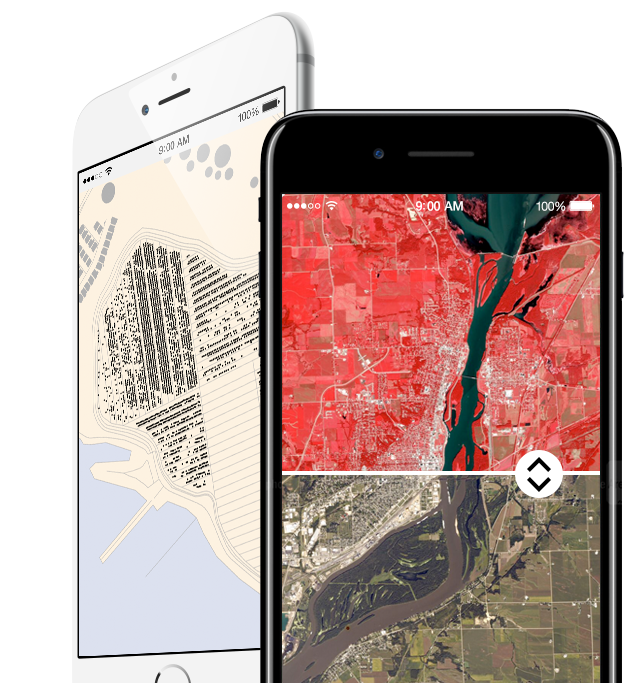 Assess impact and allocate resources quickly with before, during, and after disaster imagery, anywhere on Earth. Deliver results at the speed of change with a fully-automated platform and scalable APIs and web tools. No matter your industry or goal, better information means better decisions. Our daily imagery gives you fresh insights about more places on the planet than anyone else. We love helping businesses disrupt their industries through the use of daily data, and we're proud to have customers like these on board! We foster and facilitate an ecosystem, with our data at the center, where the world's creative minds can dream up, develop, and bring to life applications that create insights for smarter decisions. Unlock the power of a one-of-a-kind dataset. Academics can now apply for access to Planet's unique dataset for non-commercial research purposes. "Until now, the challenge with satellite imagery was the data was simply not frequent enough to react to crop stress in a timely manner. Daily imagery is a game-changer in the digital ag space." "The global coverage and daily collection provided by Planet makes it a great addition to the defense and intelligence sector’s evolving capabilities"
"Planet’s very high revisit rate, coupled with our automated change detection, makes remote sensing much more valuable to any organization."